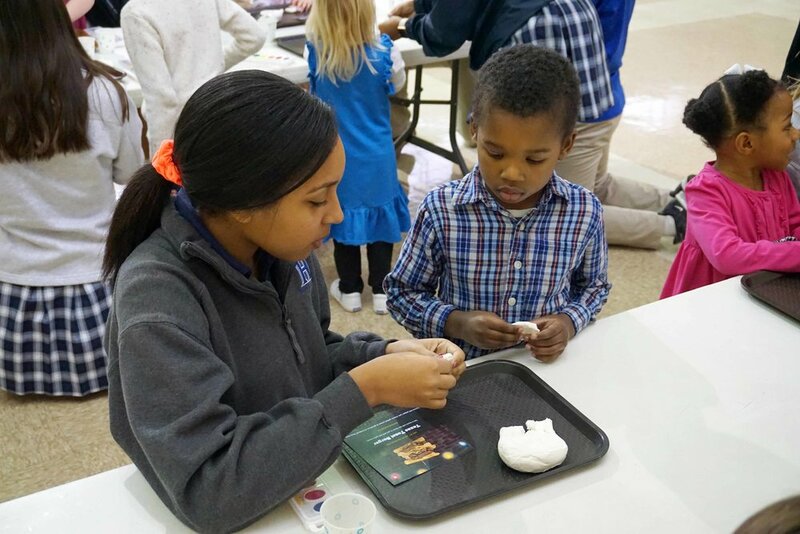 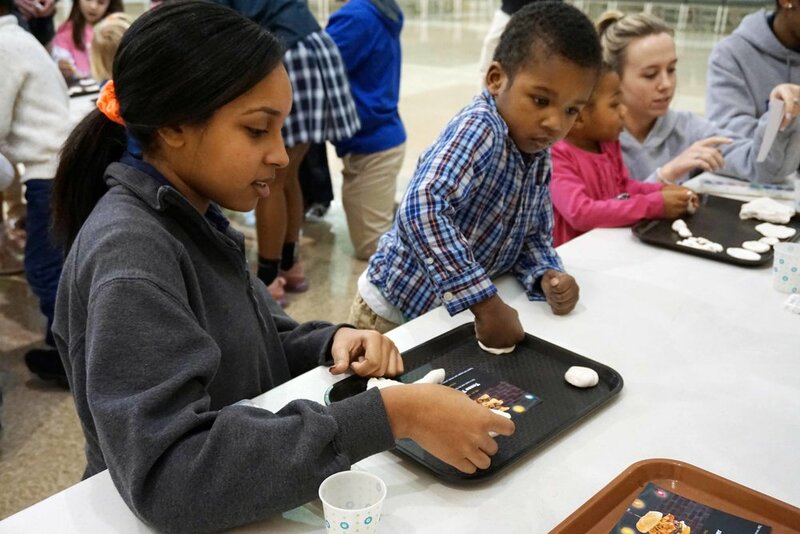 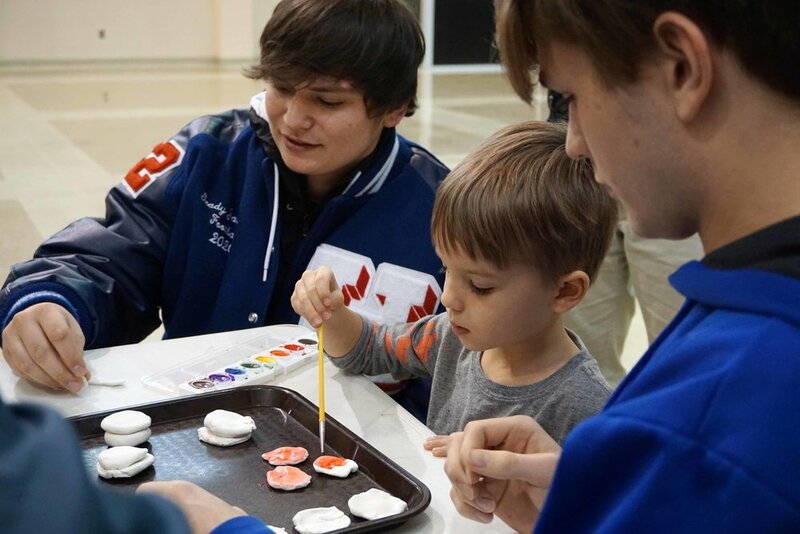 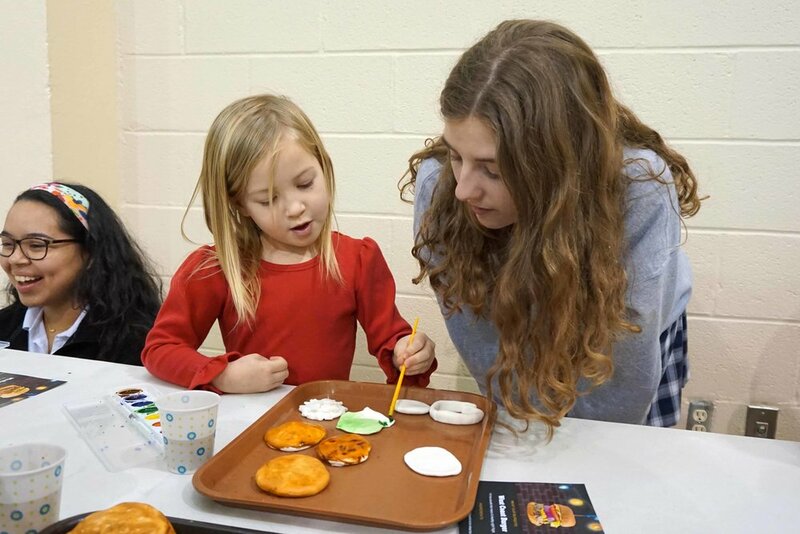 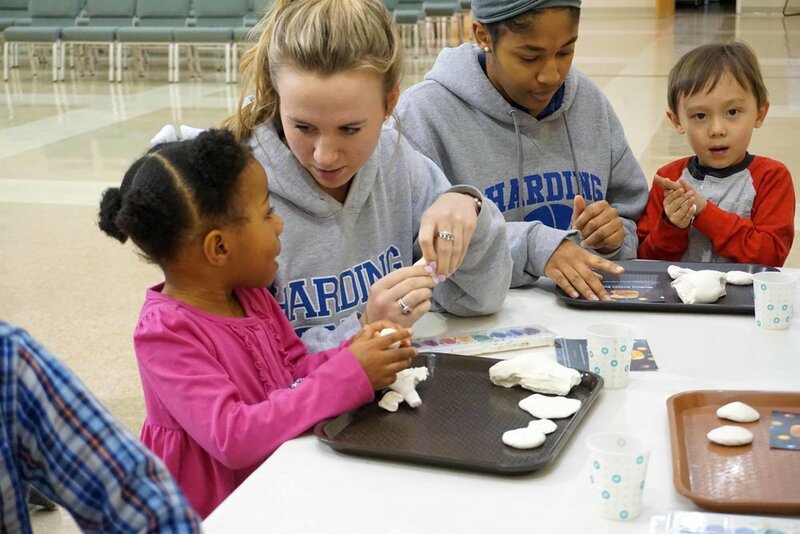 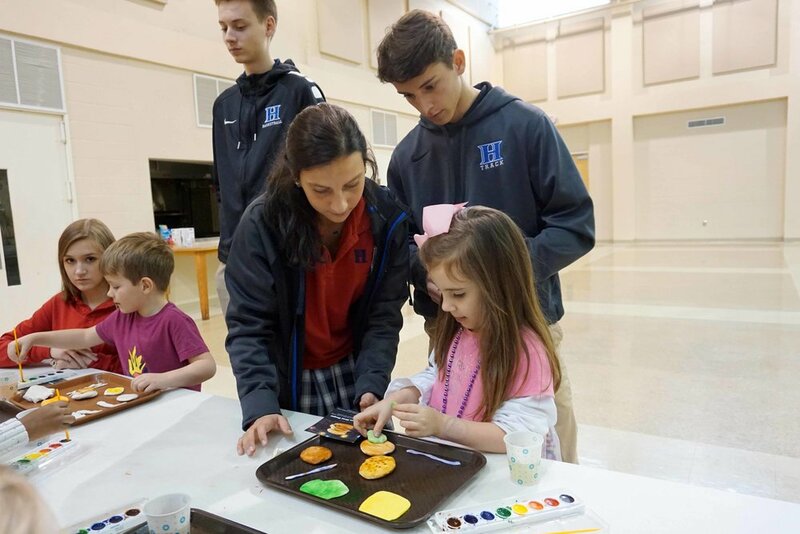 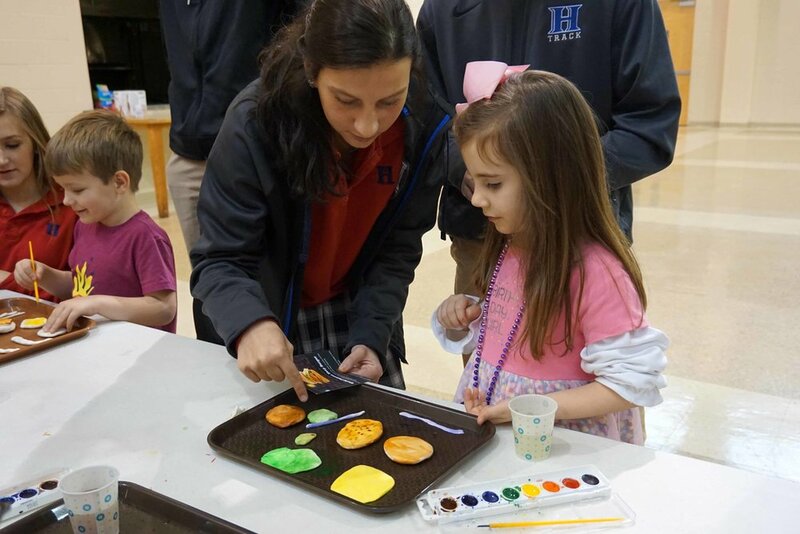 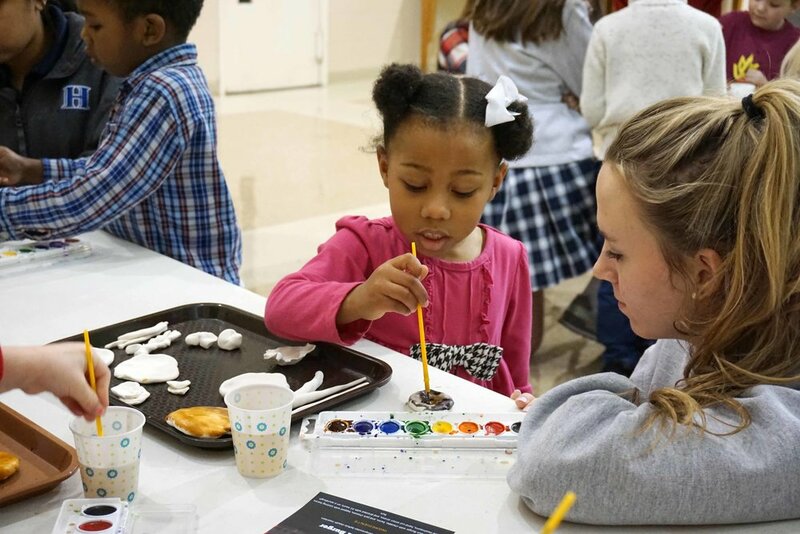 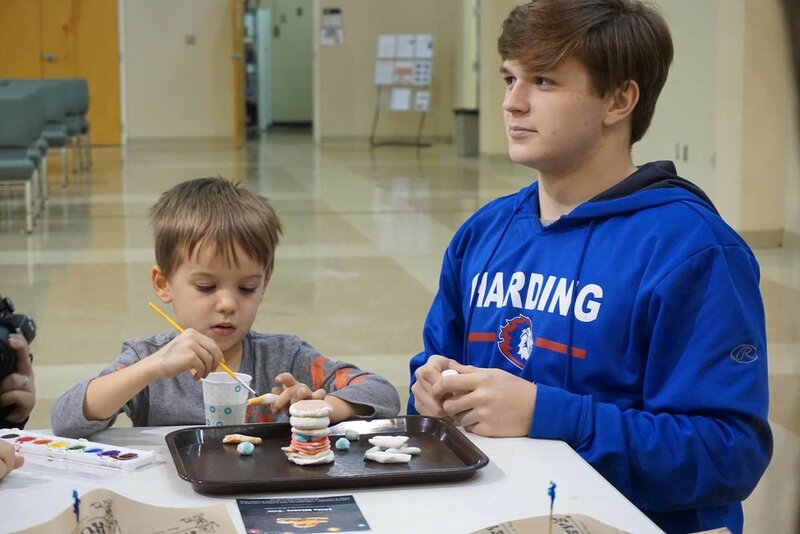 Earlier this week students in Mr. Efaw's pottery class helped “Miss” Mallory's JK students at White Station Little Harding create Huey’s burger sculptures to display at their STEAM Night on Thursday, January 31. 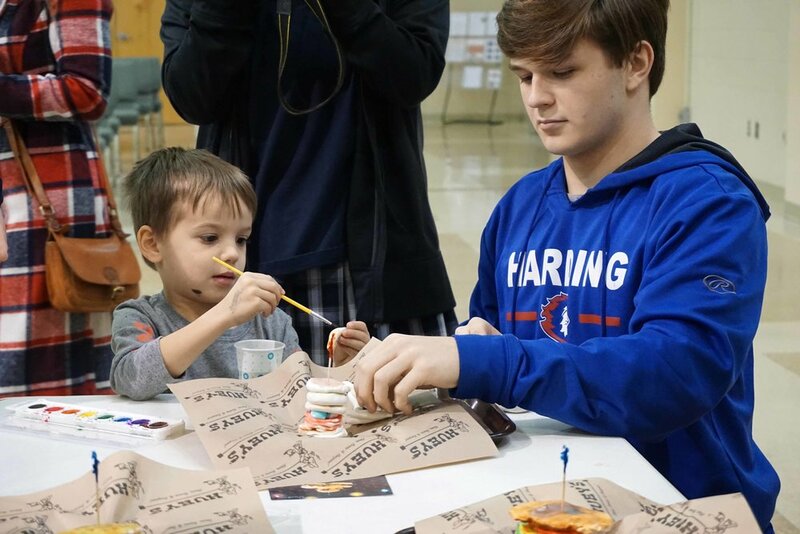 Each sculpture is based off of one of the specialty burgers at Huey’s. 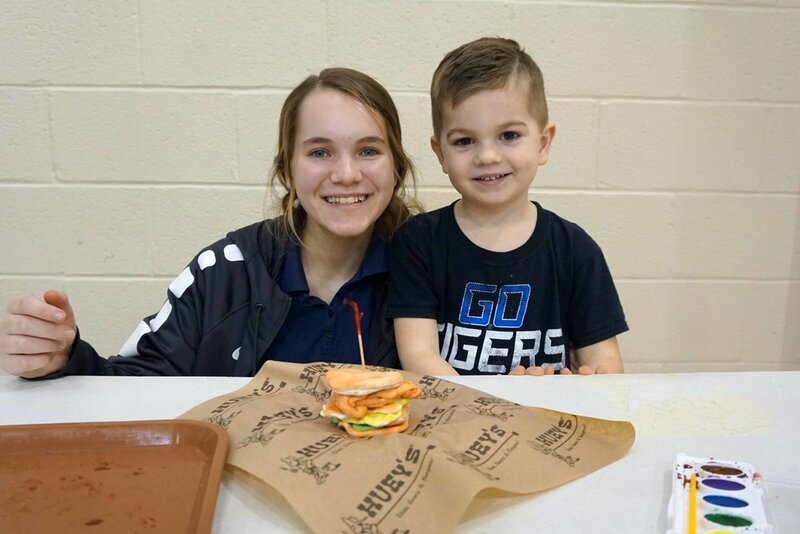 The children were given a card with the name and a picture of the specialty burger. 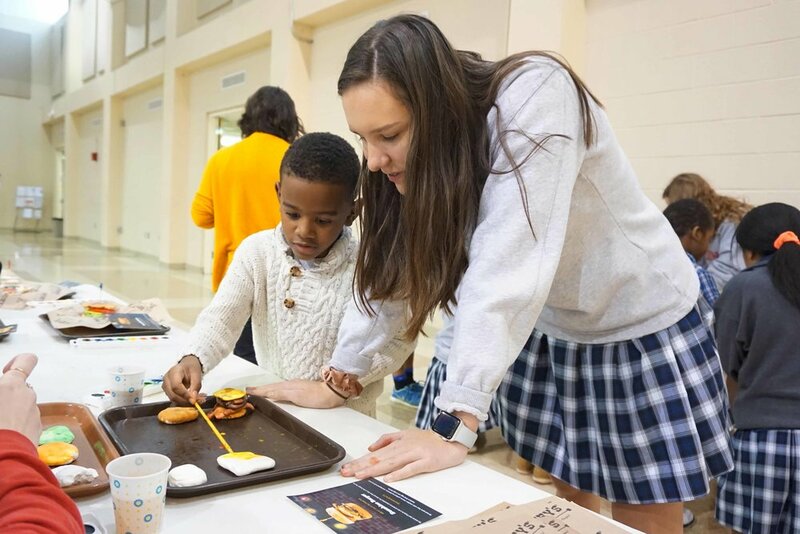 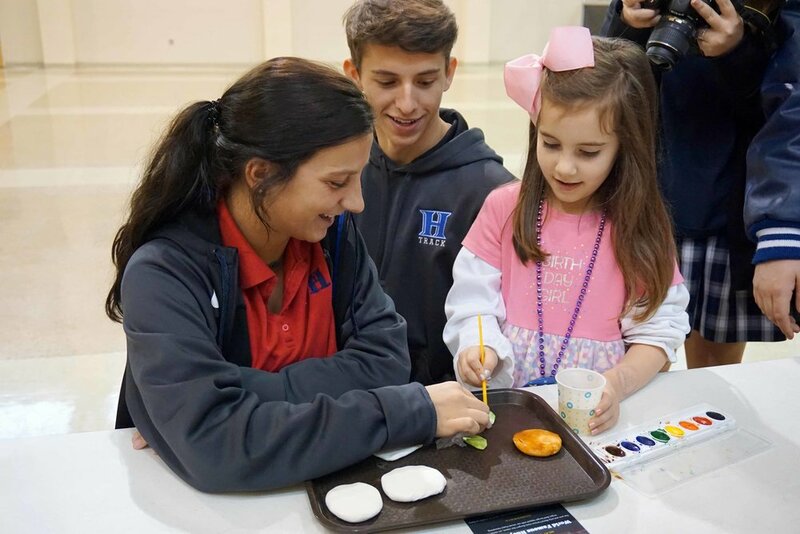 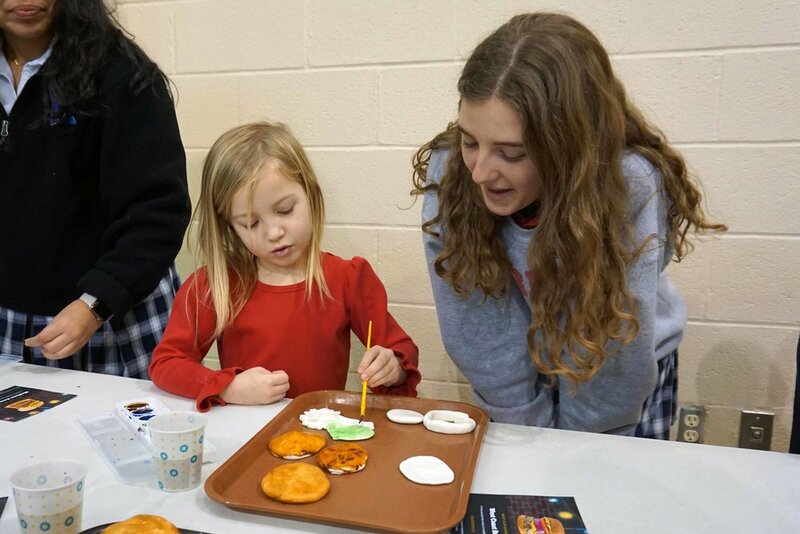 Then under the guidance of the upper school students the JK students sculpted the different pieces of the burgers with white modeling clay then painted the individual pieces before putting their specialty burger together to create an amazing masterpiece.